New year, new Earl Grey. 2019 is here and we’ve got a great list of choices for you. Hopefully you’ve been busy sipping away at delicious tea, and if not – it’s time to get started! Hopefully he’s just reaching for a flask of some hot tea. 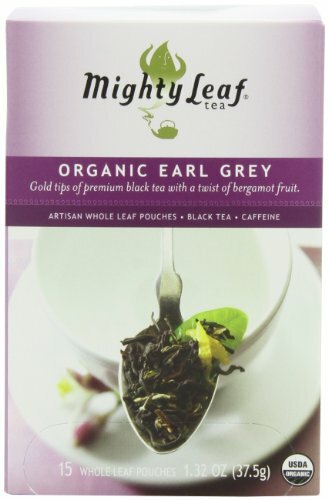 In any case, there are conflicting origin stories of this tea, with one saying that the Earl received the blend as a gift from somebody from China who was grateful to him for saving their son. Jacksons of Piccadilly, a teahouse dating back to 1815, claim themselves as the origin of this blend of tea. Regardless of where it came from, it’s here now – and that’s what matters, right? So, take a sip of some of the teas we recommend on this page. 5. WILDCARD: Have your say! The Grey family themselves say the blend was created in order to offset the taste of lime in the local water supply. 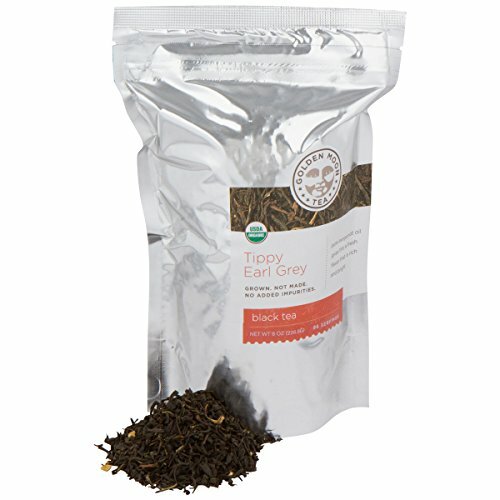 Wherever it started, it has become one of the most popular tea blends out there. It’s a very neutral and enjoyable taste, with the bergamot adding a “little something” to the regular tea leaves. More recently, you’ll find it made from different types of tea, including oolong or even green tea. Taste is entirely subjective, but we’ve still put together this list of some of the best Earl Grey blends out there. Before we continue, let’s try to quantify what “best” even means. For the purposes of this list, it’s a combination of things, from how well most people enjoy the tea (by aggregating review scores from across the web), how accessible it is, and in this case, whether it’s worth the money or not for the average tea consumer. You might find a really nice blend that’s VERY expensive, but if most people won’t really notice the difference or appreciate it, it won’t necessarily earn the top spot since we’re taking value into consideration here. These are all excellent teas, that are relatively reasonable priced (Some are more affordable than others, but they’re all within reach for somebody who is looking to invest in some new teas for their collection.) If you really want to put your tea storage area to the test, you could try a few of these. Would you enjoy brewing several Earl Grey tea brands at once, and then comparing them? Let’s cut right to the chase and end the suspense, here’s our overall pick. 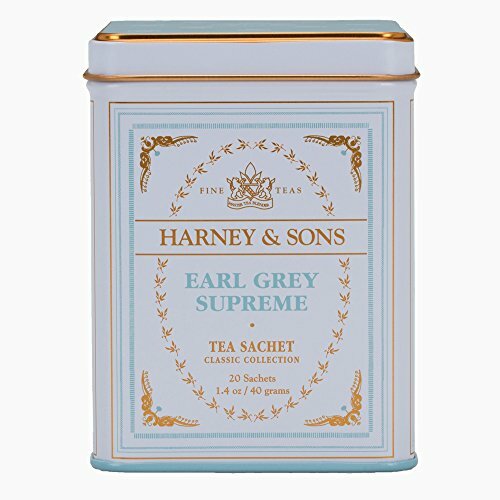 The Supreme blend by Harney & Sons contains four different teas, silver tips, and bergamot. 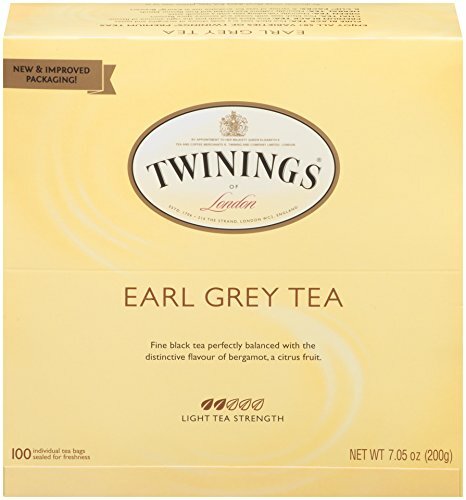 All things considered, if you’re looking for an Earl Grey tea brand you can rely on, this is a solid pick. It lands on the pricier end of the scale when you break down the prize per ounce of tea, so if you’re very budget conscious you might want to try the next one, or something else from this list, but if you don’t mind spending a little bit more – this is a good one to add to your cart. Taylor’s of Harrogate is a staple in many homes, it’s a solid tea, very reasonable, very accessible. Now, some would argue it’s not the 2nd best Earl Grey Tea in the entire world, and we’d likely have to agree, but once again, this list is taking more into account than just that. With the option to go for loose leaf or bagged, there’s something for everyone. This is a nice tea, and it brings you the best of both worlds when it comes to loose leaf tea vs bagged. These little pouches contain loose leaf leaf, rather than tea bags where the tea has often been ground a lot finer and is sometimes of lower quality. 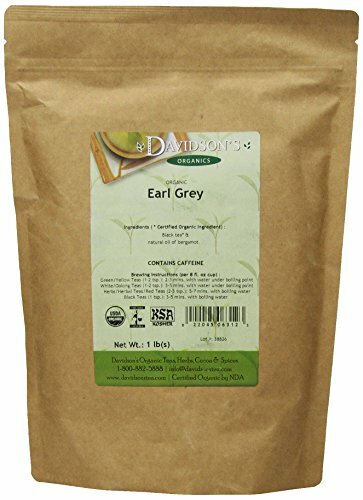 This Earl Grey brand is nice because they bring you the convenience of bagged tea, with the quality of loose. It’s very well reviewed, very reasonable priced, very nice tea that has earned a spot on this list. By the sounds of it, putting together this blend was a real labor of love. They visited dozens of tea houses in London to make sure they were getting things just right, and have sourced their bergamot from Southern Italy, using the oils from the peel for a fresh taste rather than any alternative flavorings. The goal was to make an Earl Grey that could stand up to scrutiny and make Brits proud, and it’s also quite reasonable priced at pennies per serving. We’ll call that mission: accomplished. We’re going to leave this last option open as a bit of a ‘wild card’ so that our readers can submit their own suggestions of their favorite Earl Greys. 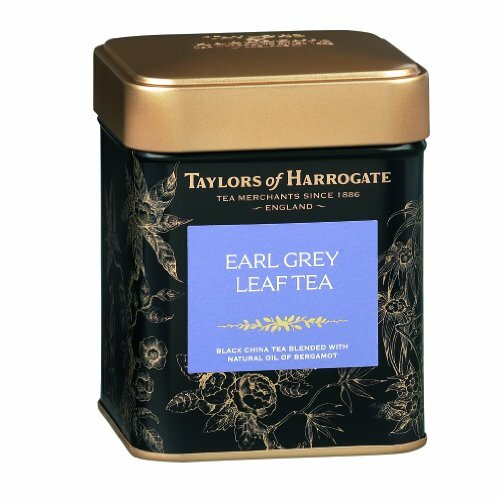 Do you have a favorite Earl Grey Tea brand? Here’s your chance to give them a shout out. If you have your own brand that you sell, let us know what sets it apart and makes it one of the best options for the money. Also, if there’s any interest, we can also do a run down of more exclusive, higher-end, ’boutique’ Earl Greys for those who aren’t really worried about the price.